This is the next installment of Beauty Products I regret buying. If you've missed the last two posts I will link them here and here. Please, come join me on my journey of regret and failure! This was just a glitter bomb on my lips and the glitter carried on even after the lip product faded from my lips. I hate products like this, they just aren't for me. This is the same story as the Jordana balm; glitter bomb on the lips. Not my thang. Again, glitter bomb.These chubby lip things always draw me in!! This one I liked at first. Good color, looked and felt nice on the lips. The product smelled like old grandma lipstick but I can look past that in a product if everything else is great. As wear time increased, I found product would gather to the edges of my mouth fairly quickly. Which isn't too abnormal for me. I move my month while talking (who doesn't?) and I find alot of my lip products tend do this. (Does that happen to anyone else???) But with this product it happened waaaaay too often and I found the build up would quickly travel inside my month. The taste was just awful. Nope, I'm done. This was just a stupid concept, in my opinion. It's literary a felt tip marker for your lips. The other side has a clear balm you rub on top of the stain. The balm stick broke off on mine after first the application. I kinda had to push it back in place and hope for the best! The stain product, obviously was not at all moisturizing and I felt the balm didn't add much moisture back. Such a lousy product but I can't completely knock down Revlon for trying something different. I greatly prefer their Just Bitten Kissable Balm Stain. I was excited to get this because I heard this was a dupe for a Mac Lipstick called Myth. Instead of paying $16, why not $5? Well, this color looked awful on me. It made me look sickly because of how light it was on my lips. The tone just didn't go well with my skin. I'm sure this is a great color and lipstick, it just didn't work out for me... so disappointed. I'm super obsessed with Baby Lips. I bought all the Dr Rescues when they were released but this color just didn't sit well against my complexion. Very similar to the Elf's Natural Nymph, it just washed me out and made my lips look sickly. Maybelline, what were you thinking?! This could have been so good but you added a giant ball to the end of the applicator. WHY??? Maybe if I had really big brows this would work...? I like big brows (and I can not lie) but the control with this wand is impossible. Trying to use this on the tail end of the brow is a nightmare. This is more work than convenience. Stupid ball. Also, I had this genius idea to cut the ball thing of with scissors; that didn't work. I may have destroyed my scissors. Maybe if I had wire cutters but doing so would probably create a really sharpen edge... I don't see this ending well. Maybe not so genius. 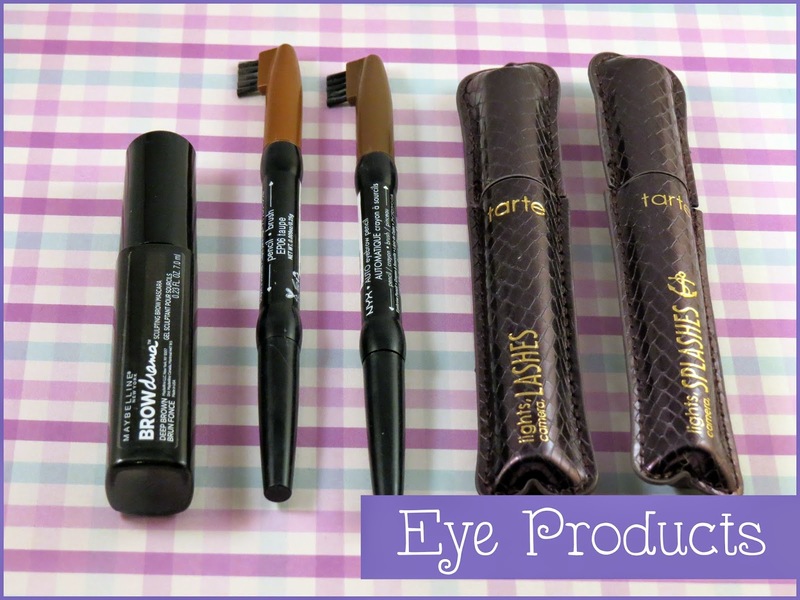 These brow pencils are so easy to use, glides really well, and has the right amount of color vs wax. BUT... every color they have is just too red for my brows! This worked really well 2 years ago when I had a red tint in my hair. Also what's with the brush? It looks like a small rake. I mean, I guess it works but is a spooly that much more expensive? The packaging isn't the most stable, the brush is attached to the tube packaging with glue so it's not one solid piece. Mine has fallen off so many times. At first I thought it was supposed to happen, then I realized there was nothing under the brush, haha! This is a good product if it matches your brows. I thought having the water proof formula of this mascara would solve all my problems. Nope, same story. I wanted so badly to make this work. This may be good for a evening out mascara but I have so many other mascaras that work well, it's not wroth money repurchasing it for a once in a while use. This is part three of Beauty Products I Regret Buying. Final installment: Nail Polish & Misc Beauty Items! 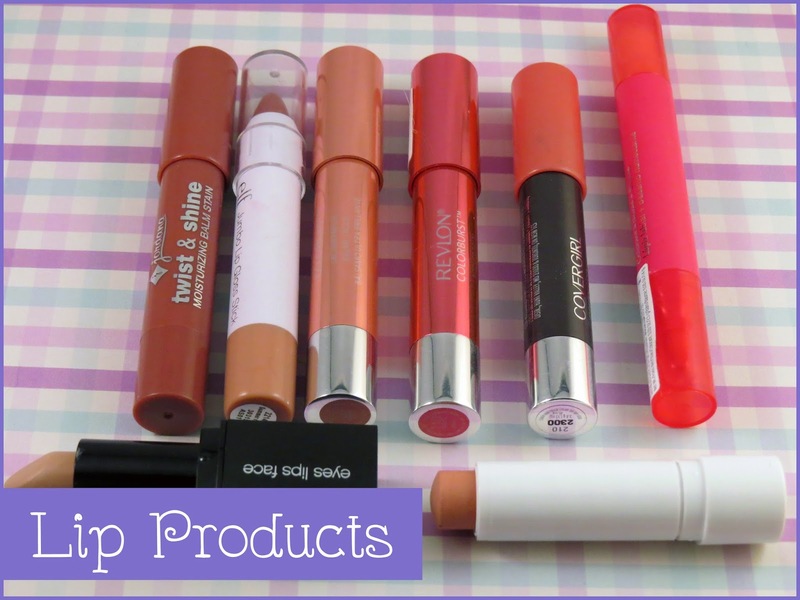 What lip and eye products do you regret buying?